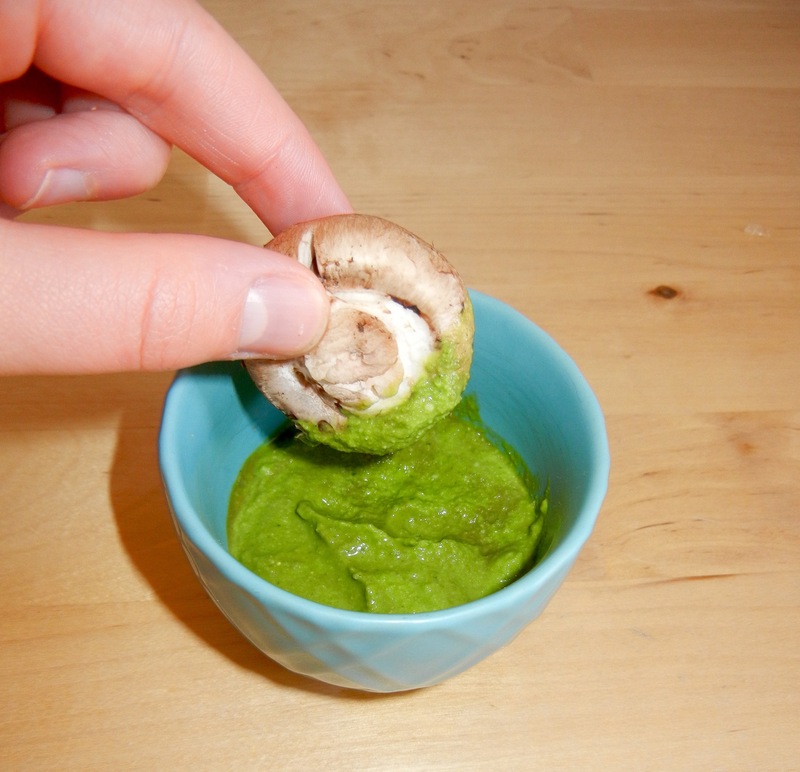 Pesto is amazing, but that stuff can be shockingly high in fat and calories. On average, a mere ¼ cup is 230 calories and 21g of fat. 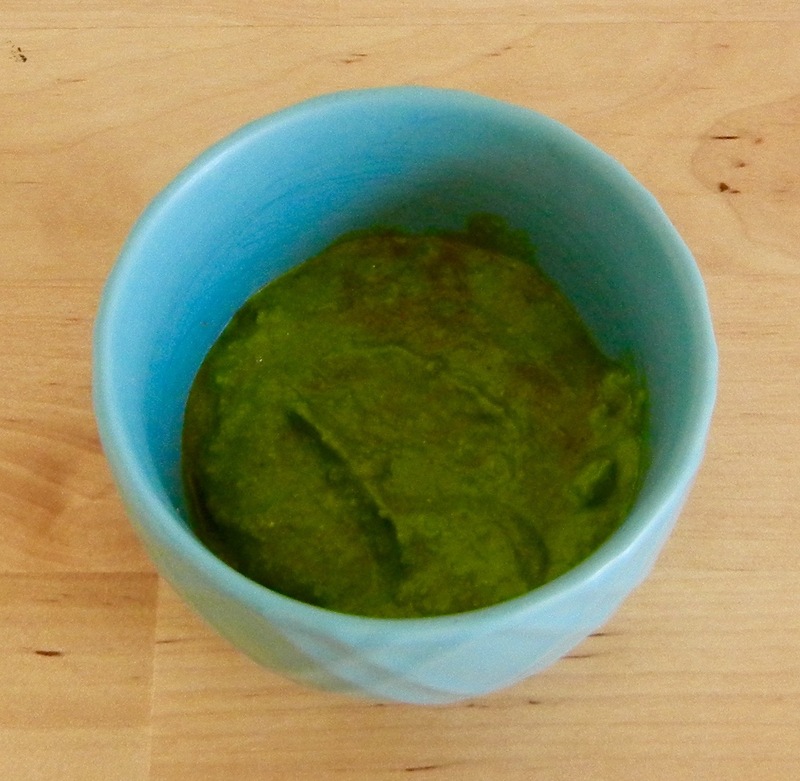 This recipe makes a great pesto that is only 14 calories and less than 1 gram of fat per tablespoon, making it only 55 calories and 3.7g of fat for a ¼ cup! Feel free to play with the quantities below to create a consistency and flavor of your liking. Feel free to add in a tablespoon or two of olive oil and sub the cashews for pine nuts for a more traditional tasting pesto! Place everything into a blender or food processor and blend until desired consistency is reached. Add more or less broth depending on how thick/thin you would like your pesto.